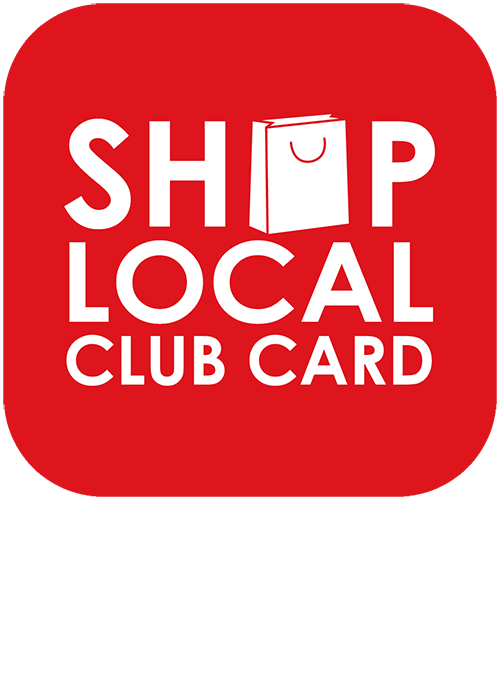 Shop Local Club Card, the new kid in town who will reduce your business costs, enhance your customer relationships and impact your businesses bottom line. Want to know more … ? At Shop Local Club Card we are not just providing a technologically advanced digital loyalty club card solution, we are providing an efficient, effective and environmentally considerate customer loyalty program; one which over time will continually evolve to bring best of breed loyalty solutions and marketing initiatives for you to optimise your relationships with your customers.Specifically designed to enhance and progress your trading capabilities and performance, Shop Local Club Card will become your Digital Rewards Partner, your trusted partner for all of your customer loyalty reward initiatives. Loyalty programs, Cards, Vouchers, Schemes, Special Offers, Competitive Offers, Pricing Wars, Retail Saturation; the modern day consumer has so much choice, so many decisions to make and so much less time than ever before to make them that the prospect of even thinking about benefiting from their loyalty to the shops they buy from seems a distant reality. Research and experience has proven the many benefits to you, the retailer, of adopting a loyalty reward scheme for your customers, and that by achieving just a 5% increase in customer retention, that you could see your profits rise by up to 80%. At Shop Local Club Card we understand. We understand the value of loyalty schemes and we also understand the pressures on you, the local business owner, both in terms of time and also budgets; understanding which has been centric to the development of Shop Local Club Card. We have developed a mobile application platform from which you, the local independent trader, is able to offer your local customers the same level of loyalty reward and service as many of the large multi-national retailers do, but with a few significant and specific personalised aspects, taking loyalty programs to a new, more targeted and value driven level. We have utilised technology effectively to create a channel for you to create value relationships with your customers and to market your business cost effectively and time critically, helping to unlock the potential of collaborative marketing. Sound too technical for you? Simply put, do not worry; Let us handle the technology for you. 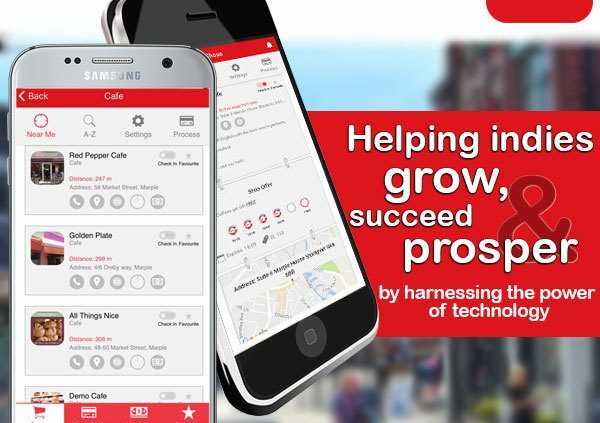 We utilise new technologies in both mobile and Cloud developments, which when coupled with our user friendly intuitive app, will enable your business to be effective and efficient in making your customers feel valued, capitalising on their loyalty to you as shoppers. One of the many benefits of partnering with Shop Local Club Card is our ability to deliver a complete customer loyalty program solution, including supporting your technical setup; provided you have an internet connection the setup process is fast and pain free; no need for big amounts of computers, hardware, cables and stress; we manage all of this for you away from your business, centrally, where we can update software and storage capabilities without you having to do a thing. By embracing our technology solution to bring custom loyalty benefits to your shoppers you are delivering to them so much more than an occasional discount or free coffee when you buy ten cups; you are enabling your business to be highly effective in increasing your customers loyalty to you through targeted rewards, whilst opening doors to be able market directly to them, quickly and specifically to a demographic of people who will take value from your offers; subsequently impacting your bottom line. 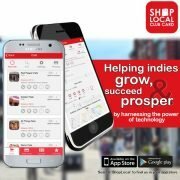 As an adopter of Shop Local Club Card you will be ideally positioned to develop important local trading relationships with other Shop Local Club Card retail owners, creating a local network of trading associates, a network which will continue to grow in value as local shopping trends continue to emerge. Trending indicates that local shopping communities continue to develop for a number of economic reasons, including convenience but also as consumers develop a greater sense of social responsibility. As your local trading community develops further you will realise greater loyalty from your Shop Local Club Card customers and also see the emergence of customer buying communities, those customers who trade, share information and develop a ‘best practice’ of shopping etiquette. 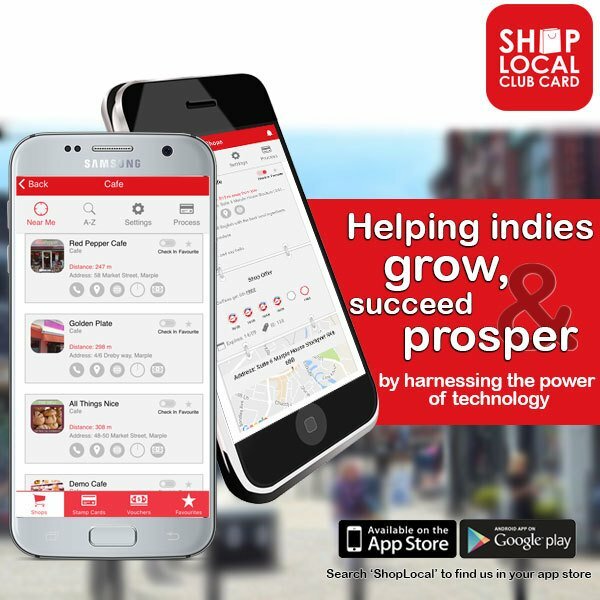 Shop Local Club Card will continue to research, understand and bring to you a best of breed customer and loyalty technology and processes, allowing you to focus on the day to day enjoyment of keeping your business running at its optimal performance. Not only will you see greater retention of customers, potential higher spend and most likely increased margins, but you will also have an enhanced local business community profile; which in turn can only act to increase awareness of your offerings local and impact footfall, which we already appreciate will impact bottom line performance. Would you like to hear more about how Shop Local Club Card will help your business to thrive? Contact Us with any questions and for a demonstration. New customers – Quick and Easy! Marple Shops – FREE Listing plus £100 CASH Prize!